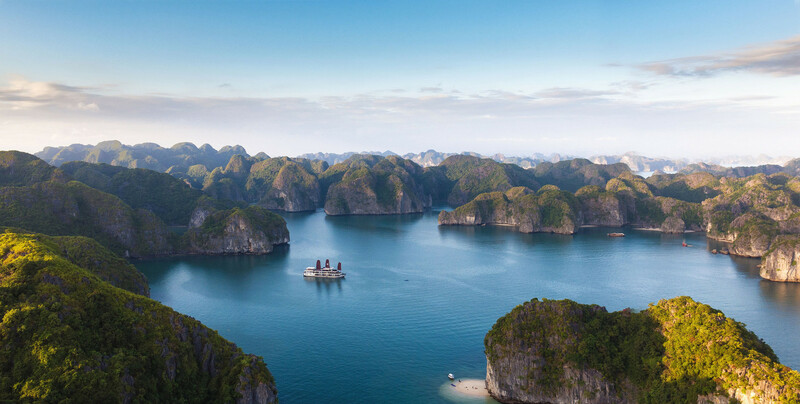 In this journey explore the two unique countries, Vietnam and Cambodia, each was intriguing as the other. 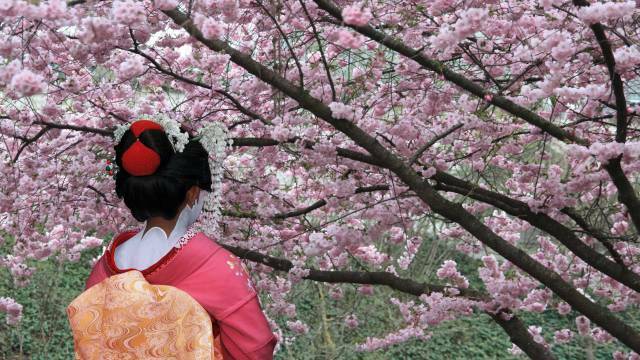 You will uncover memorable moments as you discover the essence of these iconic destinations. 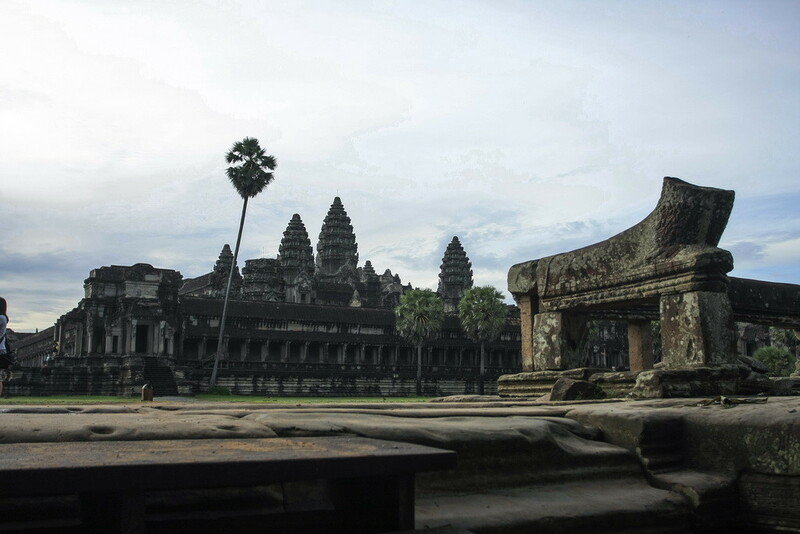 Discover more of Vietnam's fascinating culture, charming locals and delicious cuisine, then cross into Cambodia to discover the historic Siem Reap and the majestic temples of Angkor. Discover the dazzling splendours of Russian culture at the Volga River Cruise from Moscow to Saint Petersburg on board a 5 anchor ship. An immersive journey in Russian culture with a wide range of onboard activities. Discover Moscow and the Kremlin, Saint Petersburg and it's historic centre listed as a UNESCO World Heritage Site. See the rural towns such as Goritsky and Mandrogi. 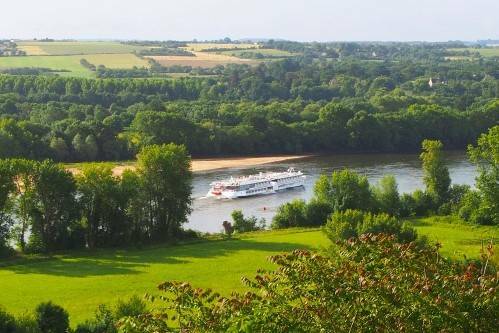 History and authenticity will be on the program throughout your cruise on France's Saone and Rhone Rivers. You will discover cities with rich historical and cultural pasts such as Lyon with its famous 'traboules' - secret passages. 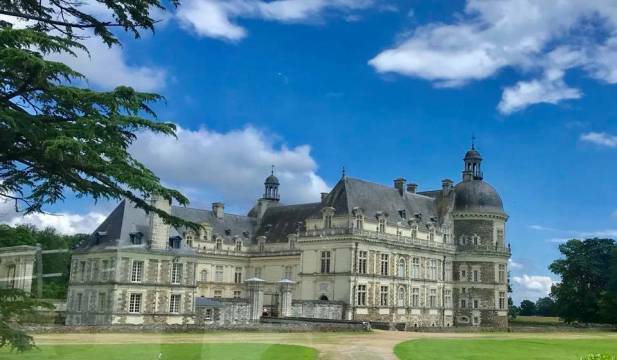 Visit the Cluny Abbey, which has had an exceptional political, artistic and religious influence on Europe, then admire the castle of Tournon which stands upright on its majestic rock in the heart of the town and houses a museum labeled "Museum of France" since 1927. On your arrival in Hanoi our local driver and tour guide will pick you up from the airport and transfer you to your hotel. 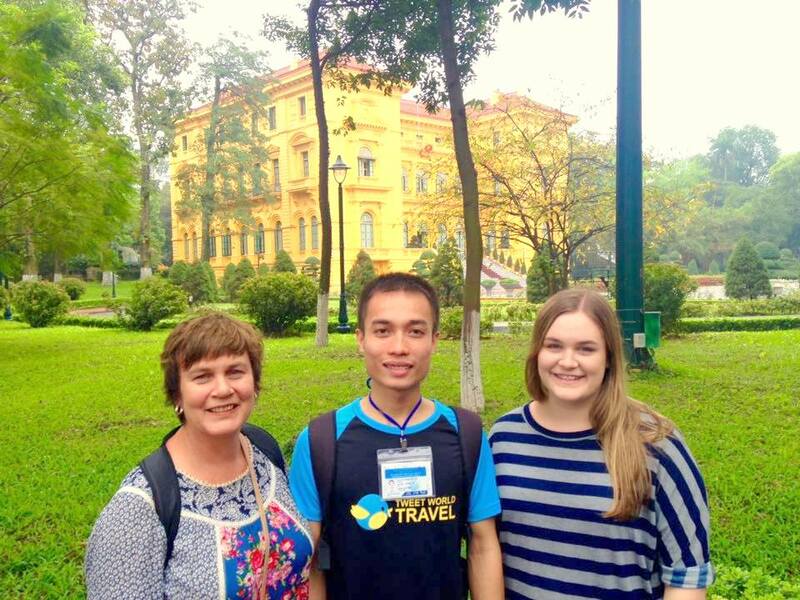 Our tour guide and driver will pick you up from your hotel at 8am and then we will visit Ho Chi Minh’s mausoleum and his former stilt-house residence, the Presidential Palace, the Ho Chi Minh museum, One Pillar Pagoda, the Temple of Literature, and the Museum of Ethnology. After lunch we will take a cyclo tour in Hanoi’s old quarter and experience traditional street life before watching Water Puppet show. In the afternoon you have the option to visit museums such as the Hanoi Hilton or Hoa Lo Prison, the National Museum of Vietnamese History, the Vietnam Military History museum, and the Vietnam National Museum of Fine Arts. Our driver will drop you off at your Hanoi Hotel around 5pm. 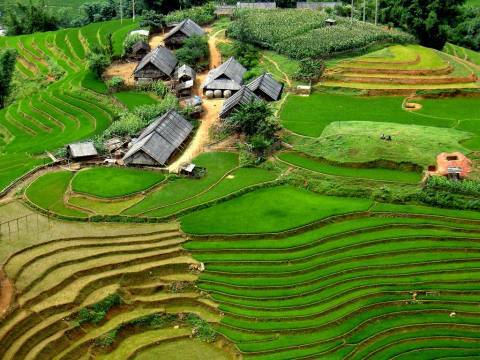 Hoa Binh is only 2 hours (75 km) from Hanoi. This province is home to many of the country’s ethnic minorities including the H'mong, Muong, Dzao and Thai people. The area has changed a lot since the largest hydro-electric power station in Southeast Asia was built here, turning the Da River into a lake. 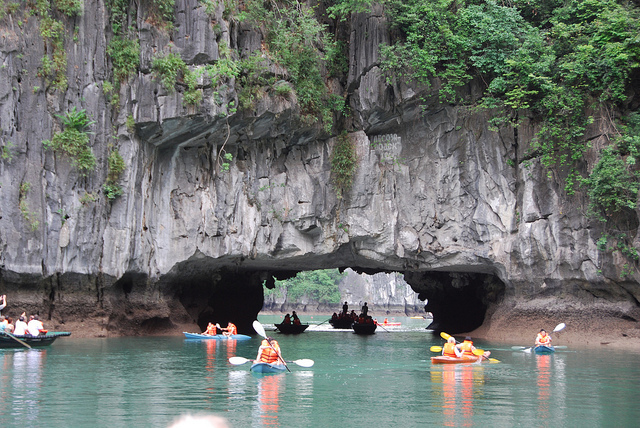 Still, even today, the province boasts some of Vietnam's most beautiful scenery and richest local culture. 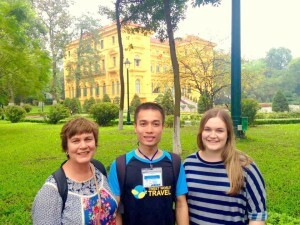 Our local driver and tour guide will pick you up from your Hanoi hotel at 8am before we transfer via car to Hoa Binh. On arrival we will visit villages of the Muong and Dzao minority groups and interact with the local people. After having met the local villagers we will continue the tour to see the enormous Hoa Binh Dam before embarking on a boat for a wonderful cruise on the reservoir. After Lunch we will stop to visit one of many villages of the Muong people, situated on the bank of the reservoir and explore the lives of these local Hill tribes and their culture. In the afternoon our driver will transfer you back to Hanoi. On the way back we will stop at the Ho Chi Minh Trail Museum for a quick visit and insight into the American war. Our driver will drop you back to your Hanoi Hotel around 5pm. 11:45: Disembark at Tuan Chau Marina. Relax at Gray Line reception room. Go back to Hanoi. Today our driver will transfer you to Noi Bai airport for your short domestic flight to Hue. Upon arrival at Hue Airport, our tour guide and driver will pick you up and transfer you to your hotel. Our tour guide and driver will pick you up from your hotel lobby around 8am before boarding the Dragon boat to cruise the Perfume River. Our first stop is the charming Lady Pagoda (Thien Mu Pagoda), before continuing on to visit King Khai Dinh’s Tomb and King Tu Duc’s Tomb. 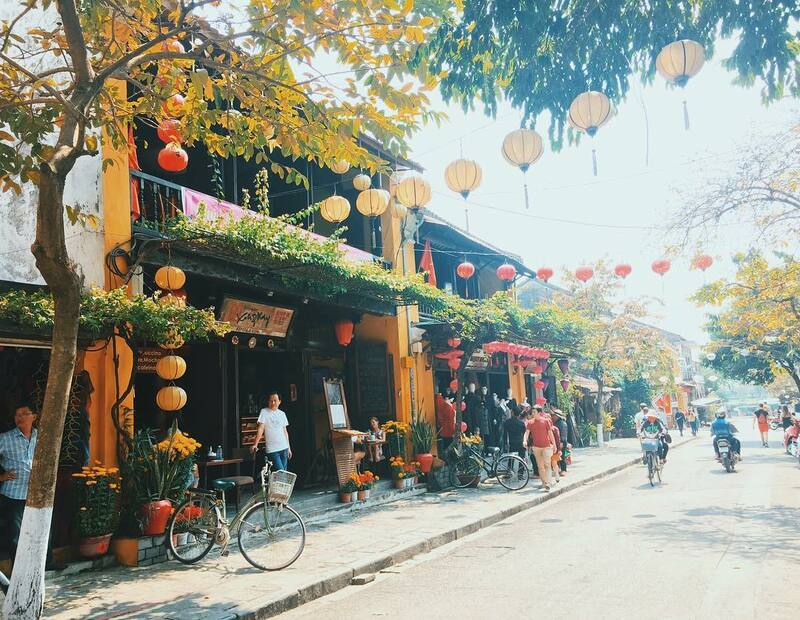 After lunch at a local restaurant, we will visit Hue Imperial City, the home of Vietnam’s last royal Dynasty, then travel on to Dong Ba Market to see the daily life of local people. 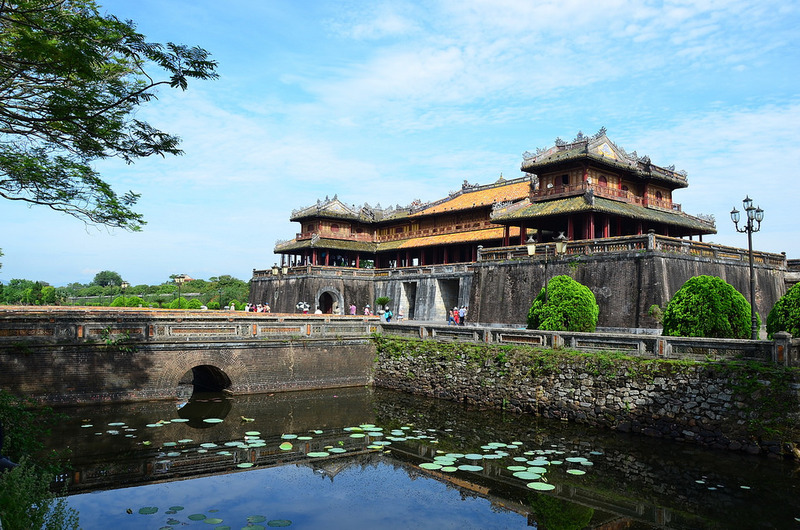 Hue, Vietnam’s former Royal Capital, is a city that represents the outstanding demonstration of the power of the vanished Vietnamese feudal empire, including a complex of monuments, tombs and pagodas that attract tourists coming from all over the world. Our driver will drop you back at your hotel around 5 pm. Today you will travel to Hoi An by private car via Hai Van Pass. It is the highest and the most beautiful pass in Vietnam (about 500 meters above sea level), and it is the final mountain belonging to Truong Son. Our tour guide and driver will pick you up from your hotel at 8am and transfer you to My Son Holy Land. 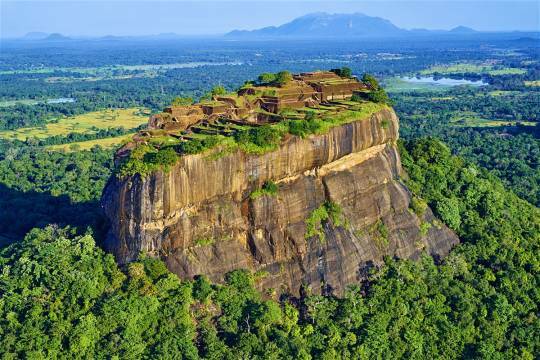 Located in a lush valley, My Son was a capital and religious centre of Cham people, now remaining with red brick towers and sanctuaries which were built from the 7th to 13rd centuries. 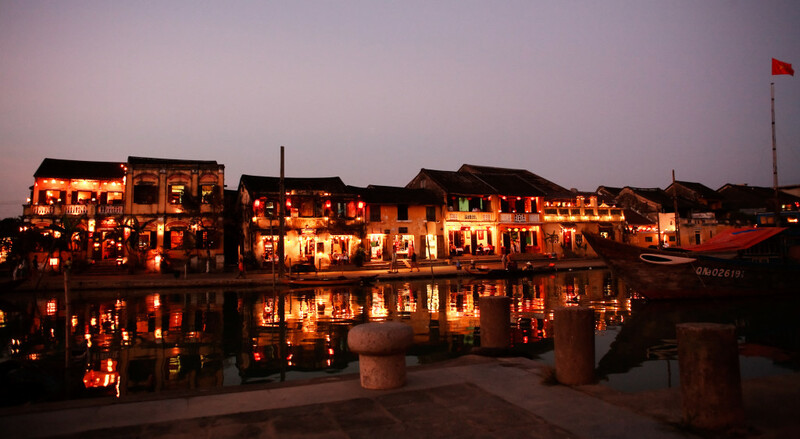 Next we will transfer to Hoi An for lunch and a short break we will explore the town of Hoi An, visiting the 400 year old Japanese Bridge, 300 years old Chinese temples and 200 year old Vietnamese former merchants’ houses. Our driver will drop you off at your hotel around 04.30 pm. On your arrival in Ho Chi Minh City, our local driver and tour guide will pick you up from the airport and transfer you to your hotel. 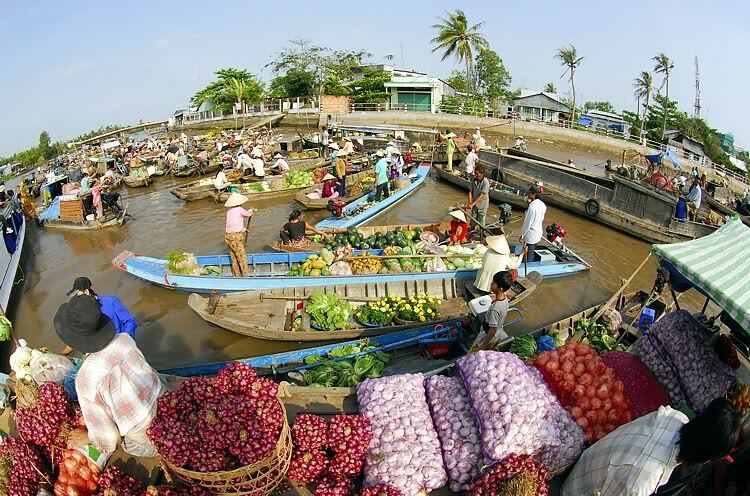 Today we travel to Mekong Delta and board a boat to visit Cai Be floating markets and local workshops. After lunch we will visit a local farmer. Back to HCMC at 5PM. Our tour guide and driver will pick you up from your hotel at 8am and we will depart for the Cu Chi Tunnels, an underground tunnels network constructed by Vietnamese fighters during the struggle for independence. Home to around 10,000 people for several years, it took about 25 years to build the underground city. The tunnel system was an excellent way for the Vietcong to move around the countryside undetected by the Americans. enjoying a scenic drive through the picturesque villages. 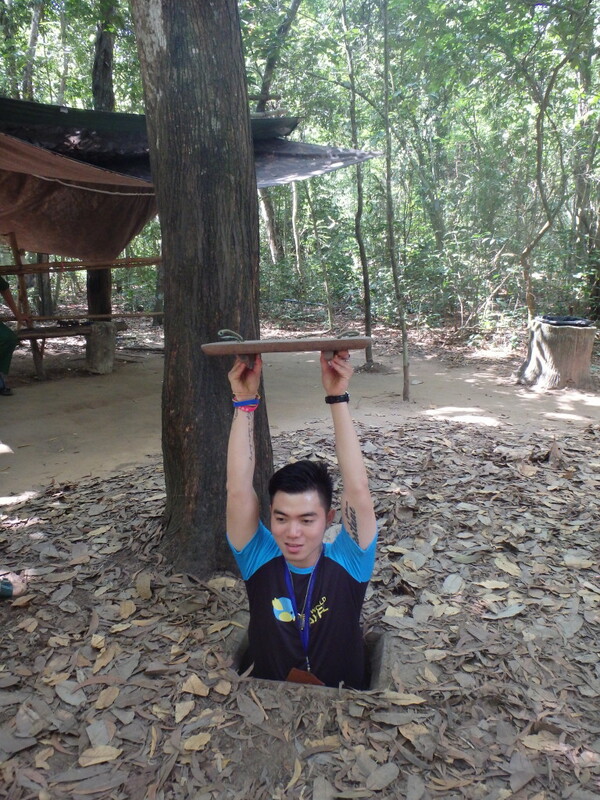 On arrival we will watch a short introductory video before exploring the Cu Chi Tunnels, the most famous battlegrounds in the world. We will explore the complex tunnel system and view may craters left from B52 bombing raids. After that we can travel try firing real bullets at the shooting range or go souvenir shopping before your return transfer back to your hotel in Ho Chi Minh. Today you will take a short international flight to Siem Reap. On arrival our local driver and tour guide will transfer you to your hotel. After check-in, our Tour guide will take you out for a welcome dinner. Sightseeing: Mystical Ta Prohm temple, ancient city of Angkor Thom Baphoun, a hill top pyramid-temple, Elephant and Leper King terraces, the Royal Enclosure Temple of Phimean Akas and the serene Preah Pithu groups of smaller temples. After lunch visit the amazing Angkor Wat. Enjoy the sunset and stunning views of Tonle Sap Lake, Western Baray, Angkor Wat and dense jungle of Angkor Thom from the top of the mountain temple of Phnom Bakheng. This morning we experience the countryside of Siem Reap by Quad Bike. Take a 3hr ride through the villages, visiting the Khmer traditional houses built on stilts, farming areas and a Buddhist monastery. Stop on the way to char with the locals. After lunch, we will travel by car to the eastern part of Siem Reap to visit the floating village of Kompong Phluk or Kompong Khleang which is surrounded by a flooded forest. 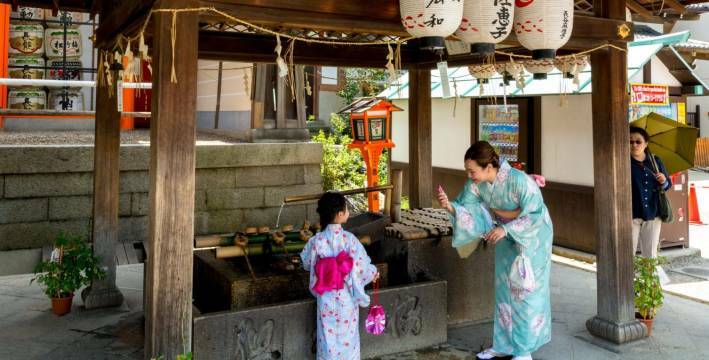 Visit local houses in the village before transferring back to your hotel by 5pm. Our driver will pick you up from your hotel and transfer you to the airport for your departure flight home. 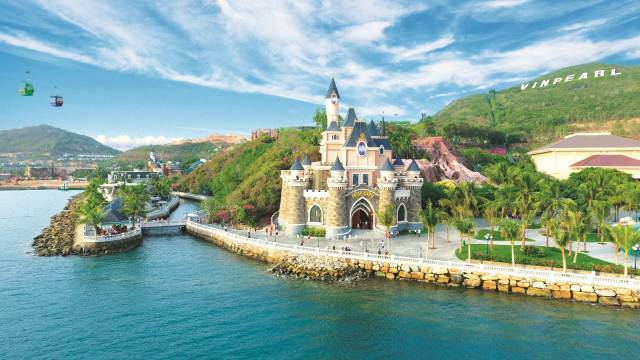 All bookings for Christmas or new Year, including Lunar New Year, will incur surcharge fees. Please read the following terms and conditions carefully. You must not make any bookings unless you understand and agree with the following terms and conditions. References to “us”, “we” and/or “our” in these booking terms and conditions shall mean Tweet World Travel. These terms and conditions apply to bookings you make with our consultants (in-store, over phone or by email) as well as online bookings you make on our website. Passenger names must be provided exactly as per passport at the time of booking. Any spelling corrections made after a deposit is paid must be sent in writing and will incur additional fees, including any ticket re-issue fees. Visa Credit Card and MasterCard Credit Card - 1.2% fee applies. All persons are fit and physically able to partake unaided in their chosen group tour as per the itinerary outlined in the Tours. All persons travelling on a Fully Independent Tour are fit and physically able to partake unaided in their chosen itinerary. All parties acknowledge the physical demands and hazards involved in the tour they will be undertaking and have chosen to participate at their own risk. All parties understand that any medical or dietary information provided to us does not, under any circumstances, make Tweet World Travel liable if a particular condition exacerbates while on tour or affects their ability to participate in any portion of the tour. For private tours/packages or other products, outstanding balance is due 65 days before departure. No voucher will be issued until final payment is received in our office. If the outstanding payment is not received by day 65, your booking will automatically be cancelled. 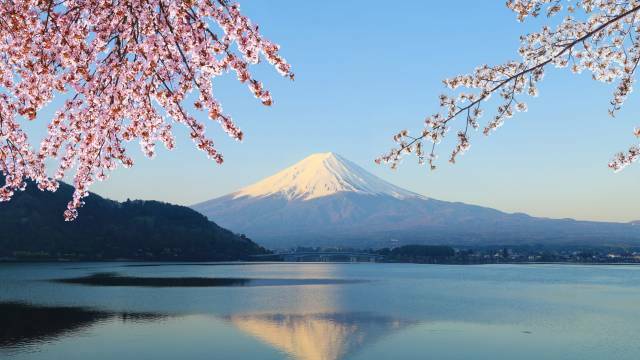 For large group tours and school tours, outstanding balance is due 90 days before departure. No voucher will be issued until final payment is received in our office. If the outstanding payment is not received by day 90, your booking will automatically be cancelled. You acknowledge and agree that there are inherent risks involved in participating in the tour, including without limitation possible contact with native flora/fauna, local residents, unforeseen events and travel in remote locations. By making a booking, you agree to accept all risks associated with the tour. You agree to unconditionally release us from, all liability, including without limitation in contract and in tort, for any cause or action, including any injury, damage, loss, cost, delay, additional expense or inconvenience caused directly or indirectly as a result of the inherent risks associated with the tour, or any force majeure events or other events which are beyond our control, including but not limited to war, civil disobedience, terrorism, insurrection, accident, explosion, sickness, fire, floods, severe weather, acts of God, acts of Government, alteration or cancellation of scheduled air services, accidents to or failure of machinery or equipment or industrial action. To the extent permitted by law, we do not accept any liability in contract, or otherwise for any injury, damage, loss (including consequential loss), delay, additional expenses or inconvenience caused directly or indirectly by the acts, omissions or default, whether negligent or otherwise, of third party providers over which we have no direct control. Under circumstances where our liability cannot be excluded and where liability may be lawfully limited, such liability is limited to the remedies required of us under applicable law (including the Australian Consumer Law). This liability clause is subject to your rights under the Australian Consumer Law and nothing in these terms and conditions is intended to limit any rights you may have under the Competition and Consumer Act 2010 (Cth). It is the travel agents’ responsibility to ensure that all invoice and itinerary details and documentation issued by Tweet World Travel are correct and that the customer is aware of amendment and cancellation conditions and other clauses in these Booking Conditions. Travel insurance is not included in your day tours, private tours, group tours, transfers, and any of our packages. For your protection, we strongly recommend that you purchase comprehensive travel insurance for your travel arrangements (without limitation) that include coverage for medical expenses, loss of luggage, cruise, land content and airfare charges that may occur. We are an authorised representative of CoverMore Travel Insurance Services. We can provide you with general information about the travel insurance options available to you. If you decline travel insurance, you will be required to sign an indemnity statement/disclaimer. Travel documents include, but are not limited to, airline tickets, hotel vouchers, tour vouchers or any other document used to confirm an arrangement with a service provider. Travel documents may be subject to certain conditions and/or restrictions including (without limitation being non-refundable, no-date changeable and subject to cancellation and/or amendment fees. If you have booked with a consultant, it is your responsibility to collect all travel documents from us prior to travel. Please contact your consultant to confirm when your travel documents are ready for collection. You agree that we may use images of you taken during the trip and any comments made in writing by you regarding the trip, without recourse to you and without compensation to you, for publicity and promotion purposes only through whatever medium we choose.